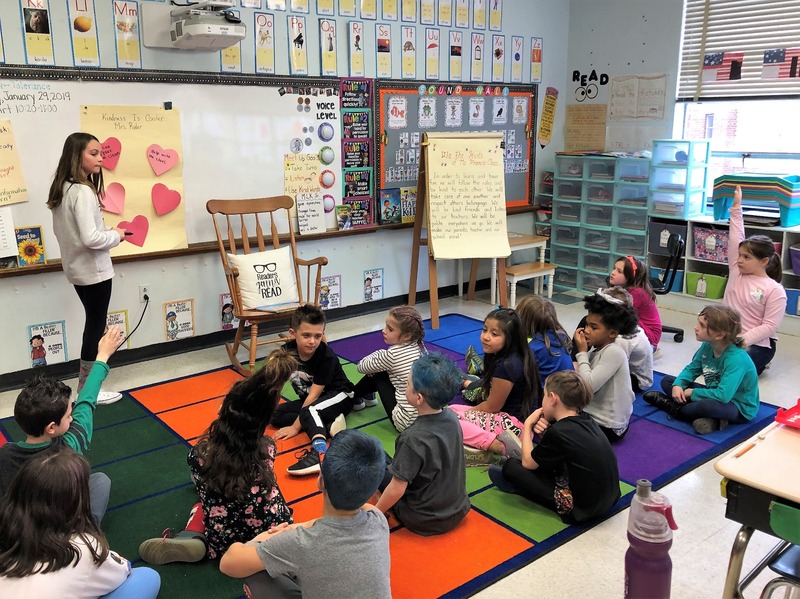 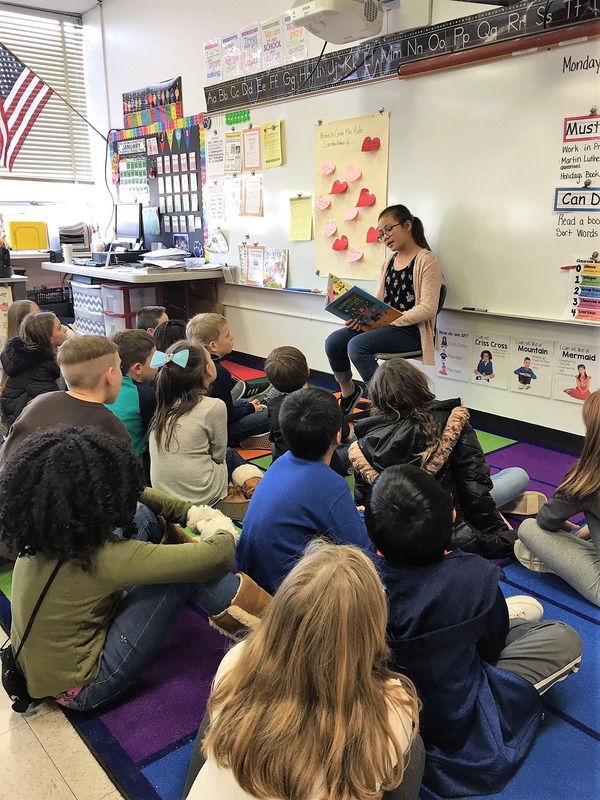 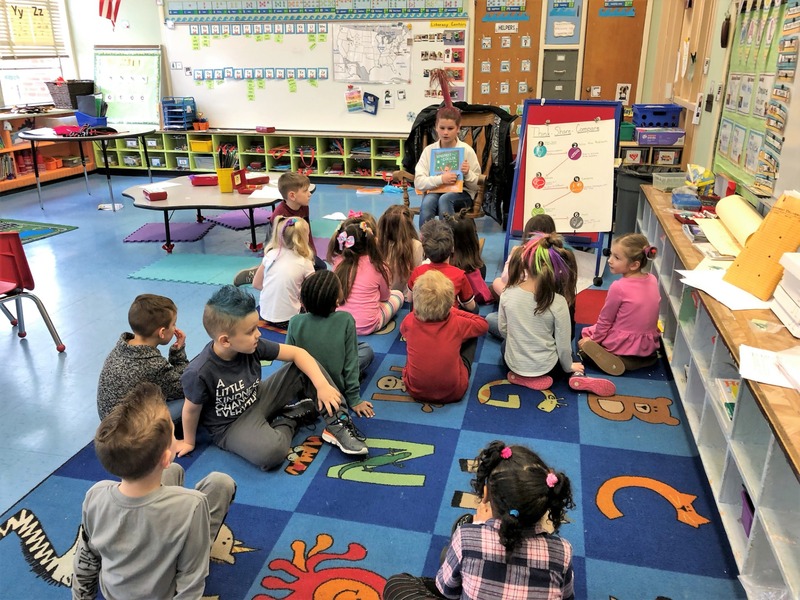 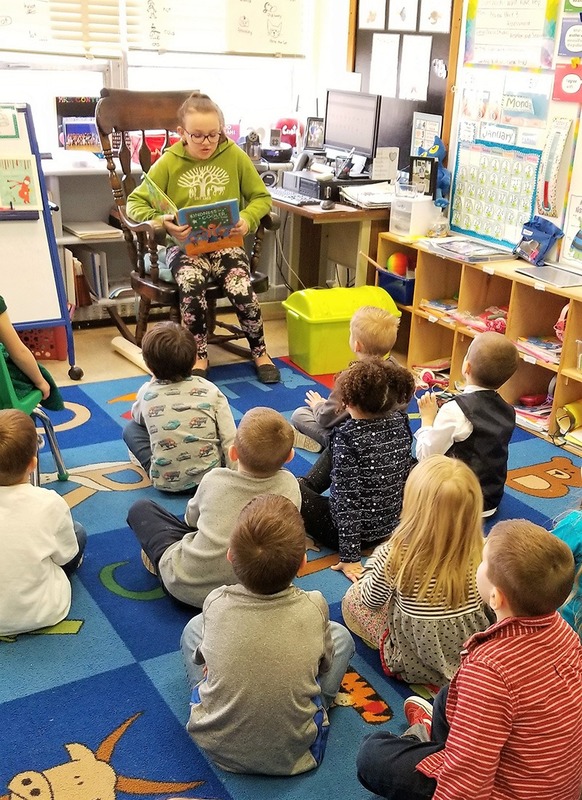 Feb. 5, 2019-- During the week of Jan. 28, Pine Beach Elementary School proudly participated in the Great Kindness Challenge, a proactive, positive, bullying prevention initiative dedicated to creating a culture of kindness in schools nationwide. 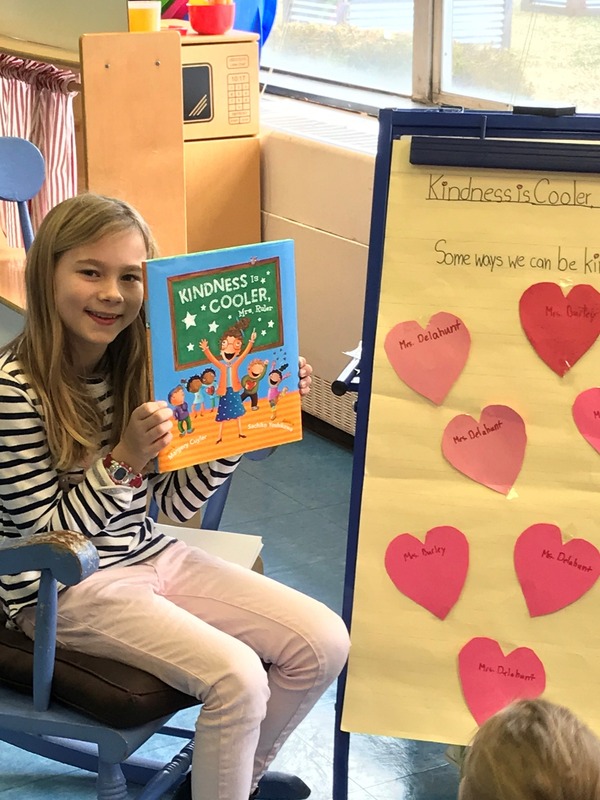 Across the school students engaged in a read aloud of Kindness is Cooler, Mrs. 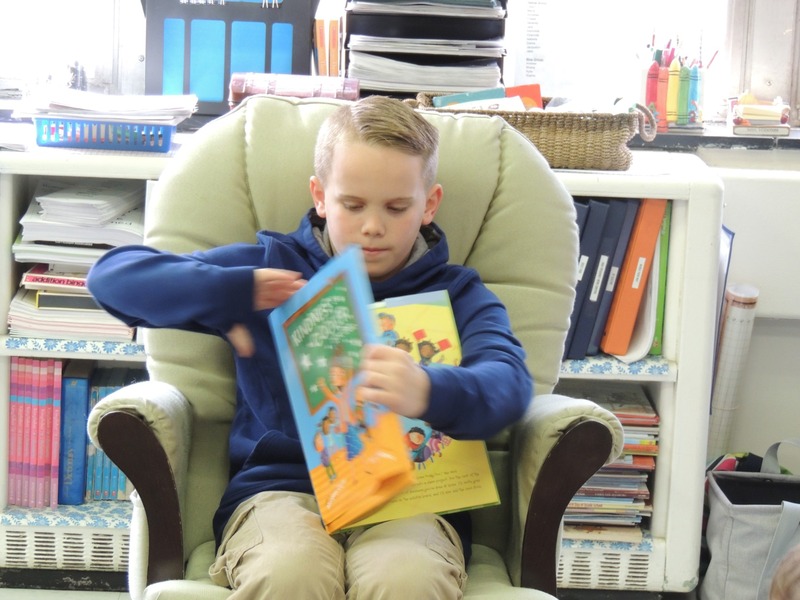 Ruler. 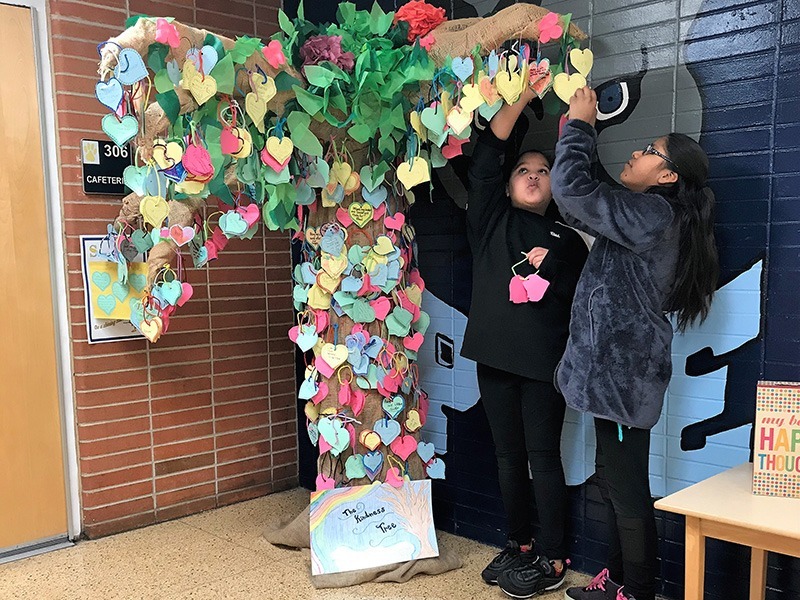 PBE Leadership Ambassadors led the read alouds in the younger grades, and students at all grade levels decorated the Pine Beach Tree of Kindness with their acts of kindness. 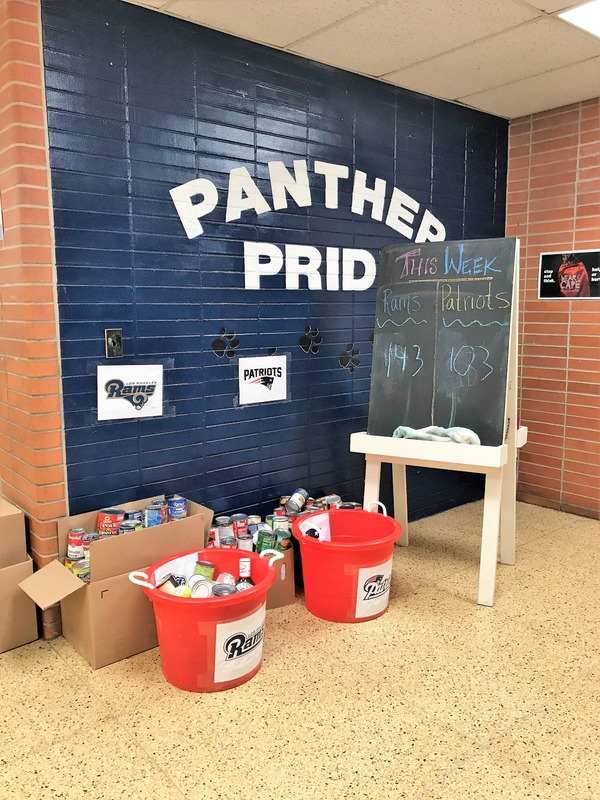 PBE Panthers also participated in classroom-based kindness projects, and a “Souper Bowl" food collection was also held to support High School East’s new food pantry. 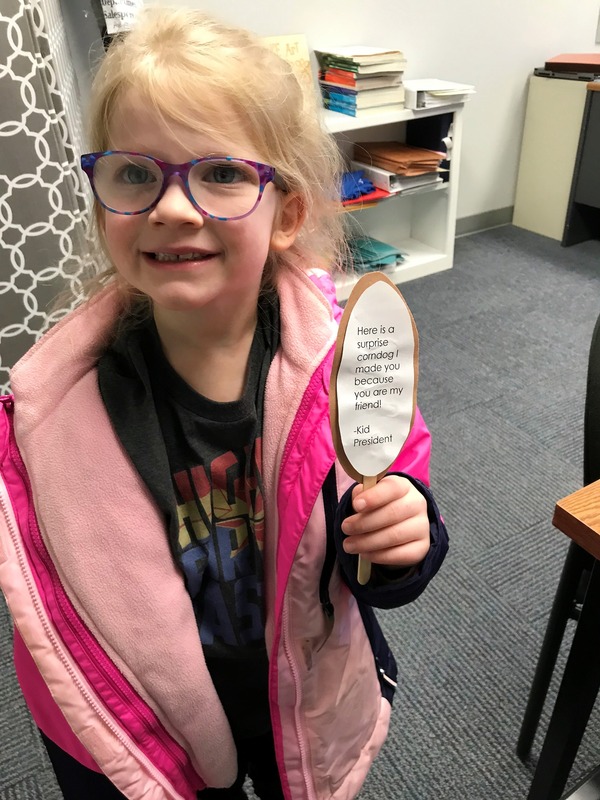 A surprise corn dog inspired by Kid President!